ARMAR is the ultimate kitchen companion. He'll bring you what you need from the fridge and after dinner he'll load the dishwasher and clean all the surfaces. But he's just one of a growing army of robo-chefs. Here, we take a look at the hi-tech cooking equipment shaping our future. CNN's Blueprint team met a group of students from Poznan's School of Form who have invented 'KUKA', a robot that can make 3D cookies in any shape you want. 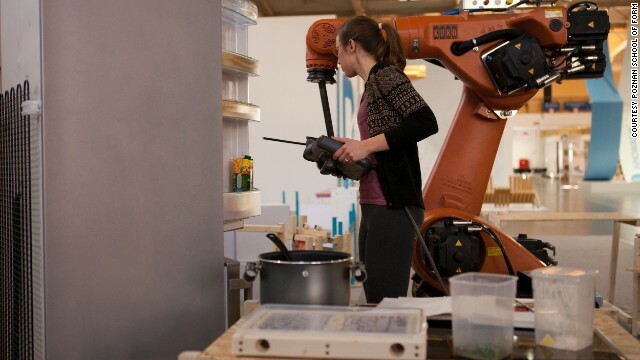 KUKA is part of a project called 'Let's Cook the Future', which explores how robots could be used to both replace human chefs and further customize food to individual needs. 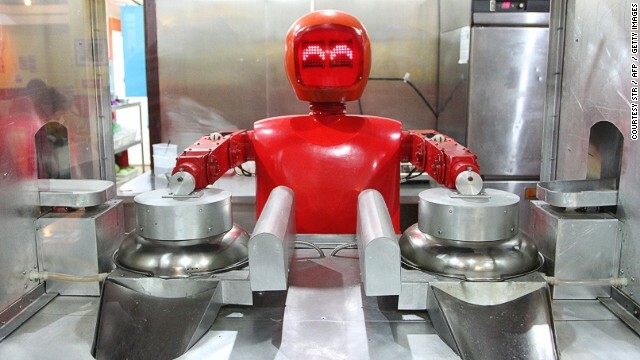 This robot is busy cooking up noodles at the world's first robot restaurant in Harbin, northeast China. Twenty robots perform a variety of chores, from ushering in guests to waiting tables and cooking dishes. This robochef by Yaskawa Electric has spatulas for arms and can prepare, cook and foil wrap an 'okonomiyaki', a traditional Japanese pancake. Atomium is a 3D food printing concept. Users draw the shape of the food they would like to eat, Antomium scans it and prints the molecular ingredients layer by layer. 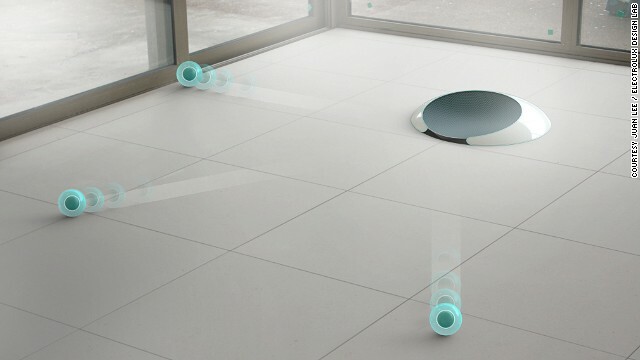 The concept is a semi-finalist in this year's Electrolux Design Lab, the winner of which will be announced in October. Fancy yourself a bit of a wizz in the kitchen? 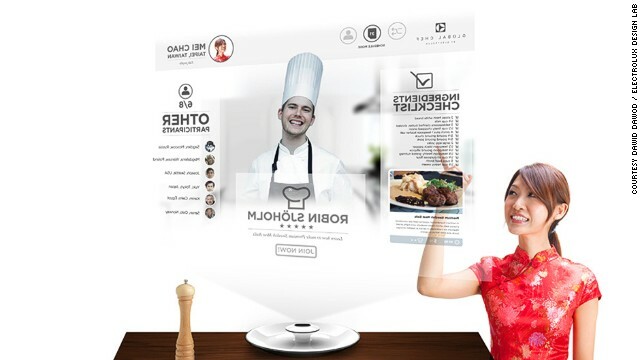 Soon you could be putting your skills to the test with Global Chef, a kitchen appliance concept that brings elite holographic chefs direct to your kitchen. With Global Chef food lovers can learn tips from chefs all over the world or schedule cooking sessions with distant loved ones. 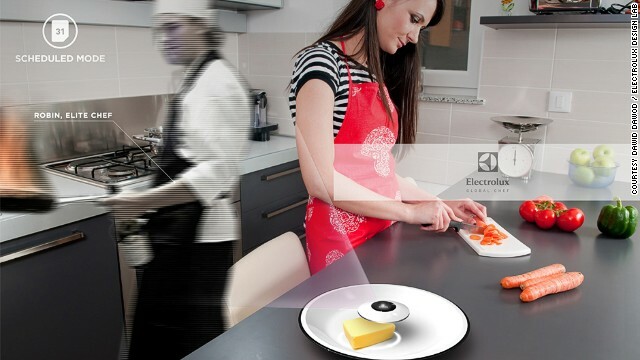 Its holographic technology means you can share cooking and eating experiences even when you're far apart. Smoobo must be the funnest and most eco-friendly blender out there. Open him up, put the ingredients inside and bounce. 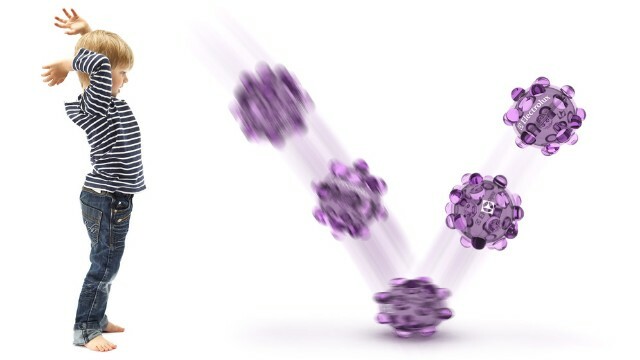 Each bounce activates the kinetic batteries that power the rotary blades. Maybe this is one for outside the kitchen. Nutrima tells you what you're really putting in your body -- It's a flexible surface top that calculates the nutritional values, possible toxins and freshness of your food and ingredients. Kitchen Hub is a recipe book, a dietician AND a shopping assistant. It manages your food stock, alerting you when you need to buy something or if you are about to waste something. Plus, it knows the individual diets of family members and can suggest meal options accordingly. 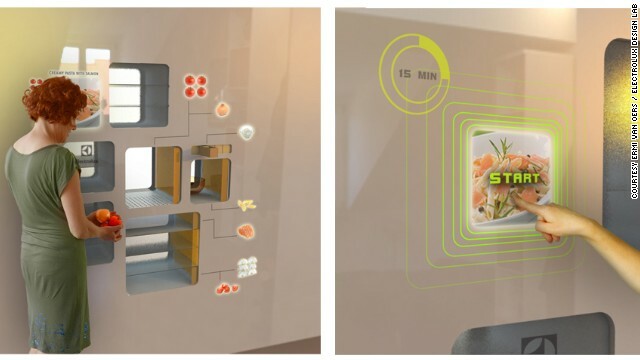 The only finger you need lift in the 2D Smart Kitchen is the one that picks your meal. Browse the menu on the wall-mounted touchscreen, which provides dinner options based on what's in your fridge, and click 'start'. 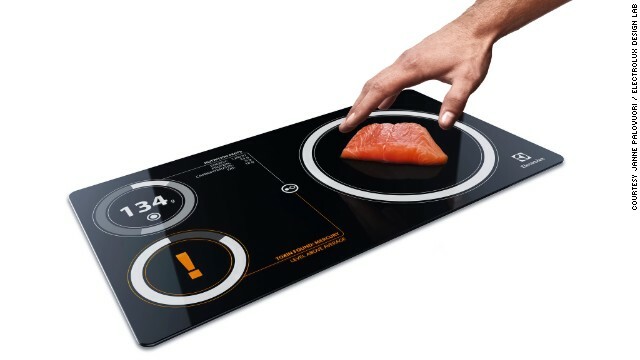 Dutch designer Ermi van Oers' automatic cooking concept will select the ingredients and then chop it and cook it. Just don't tell the guests. Jell Balls are the busy cook's friend. When instructed, a central supply of 'Jell' forms eight small Jell Balls which shoot out from the main body to soak up dust and small bits of food from every corner of the kitchen. 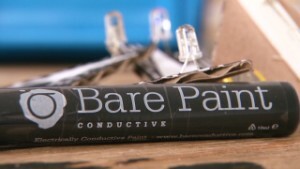 According to the designer, the gelatin surface of the balls mean that they can clean areas that might be wet too. 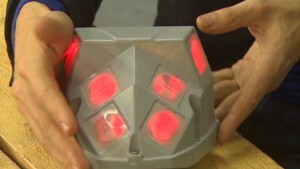 (CNN) -- Your cooking partner is a robot, your fridge can talk, and your plate is your own personal dietician. Oh, and for a laugh you occasionally have a cook-off with a famous holographic chef. This may sound like a scene from 1960s sci-fi cartoon The Jetsons, but the kitchens in coming decades may not be so far off those envisioned by futurologists. 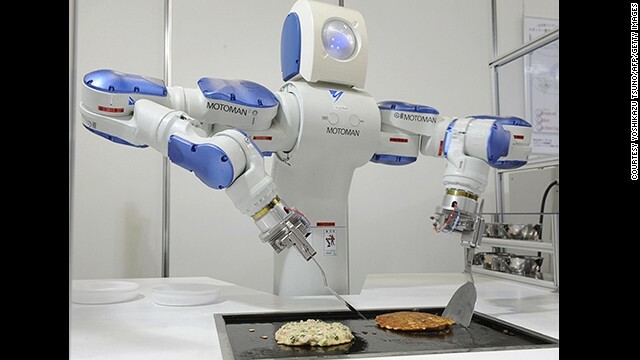 Today, a number of significant developments in culinary tech are happening in the field of robotics. 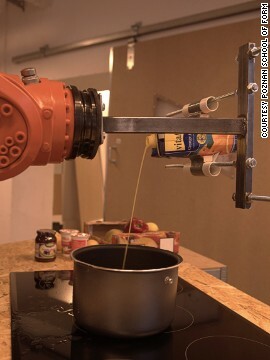 CNN's Blueprint team caught up with a group of design students in Poland who recently programmed an industrial robot -- usually tasked with building cars -- to cook. "Our project is called 'Let's cook the future' and we try to cook with robots -- we had a robot that initially was made just to be in factories and make cars and we tried to treat it as a human and put it in the kitchen." 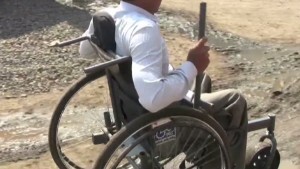 Says Barbara Dzaman, one of the students involved in the project. The 'Let's cook the future' robot "prints" cookies three-dimensionally, building them up layer by layer in almost any shape you could imagine. Dorota Kabala, an industrial designer working alongside the students says that the project looks towards a future where people can make dishes that are only limited by their imagination. "The problem we are addressing in this project is the need for personalization of production ... at the moment we can observe that people need more personalization, more customization of products than before and now it's possible." 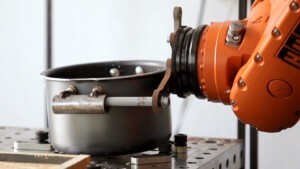 Marek Cecula, a respected Polish designer, ceramicist and visiting professor at the Royal College of Art, London, says that he was "amazed" by the students' robot chef but felt that "we simply don't know where this is going ... How will we relate to objects made completely by a machine? How will these objects relate to our emotions? Where will the relationship between person and object be when the object is made by a machine?" 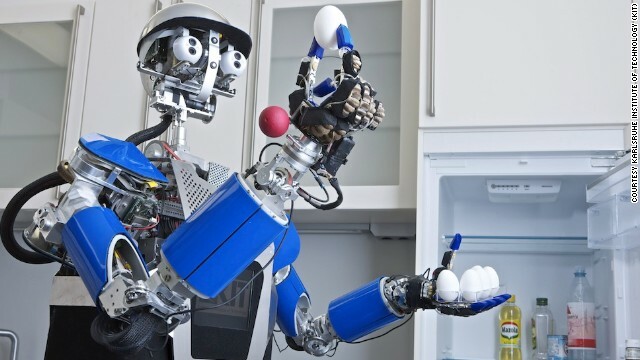 Will robots take over our kitchens? The introduction of robots into the home is not new, of course. Many of us already live with electronics that have robotic components, such as self-cleaning ovens, single-touch microwaves that automatically adjust to the food you have put in them, and fridges that scan used-by dates. The trend for robots to perform unskilled restaurant jobs has also led to robotic noodle slicers and mechanical waiters, though so far many are mere gimmicks rather than genuine technological solutions. 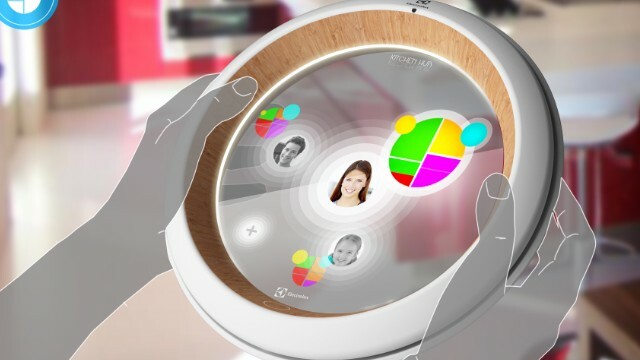 Thomas Johansson, Design Director at Electrolux, says that he thinks there is a place for robots in the kitchen: "I think kitchen robots could potentially take over some of the common jobs that are repetitive or difficult to do ... I think you could take away some of the boring chores and spend your time doing something more interesting." Away from robotics, Electrolux has been exploring the creative fringe of kitchen design with its annual Design Lab competition. 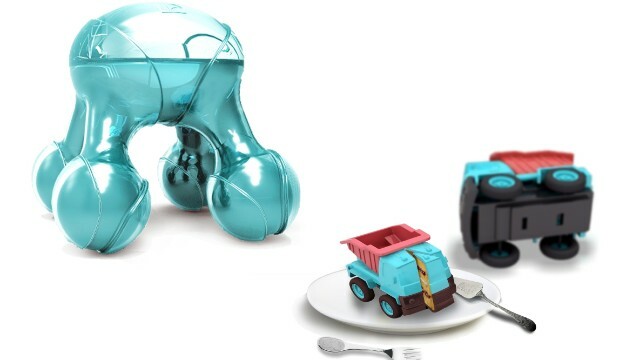 The company recently announced the semi-finalists for 2013, which include a 3-D food printer and an appliance that calculates the nutritional values, possible toxins and freshness of your food before you start cooking. Johansson says the range of issues being tackled by students in the competition is fascinating in itself: "A lot of the students are addressing issues like wellbeing, robotics, bio-mimicry, wearable devices, air purification, and also using smart phones and tablets as remote controls. And then there are the issues about food diagnostics, which are especially interesting in light of the horse meat scandal. People are no longer that concerned about what frying pan they use, but what is in the frying pan. Knowing what it is that you are eating is very important." With work being done in almost every field of home design, it is likely that the kitchen of the future will look significantly different to how it does today. As the old saying goes, the kitchen will always be the heart of the home -- but increasingly that heart is coming to resemble a pacemaker.